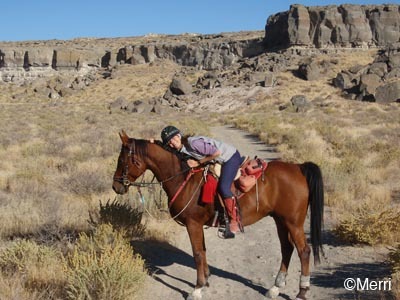 How do I put into words a 5-day endurance ride on a horse like Jose? How do I describe the miles, the climbs, the descents, the creeks, the sand, the heat, the dust, the rattlesnakes, the biting bugs, that Jose powers through without objection, with absolute zeal? 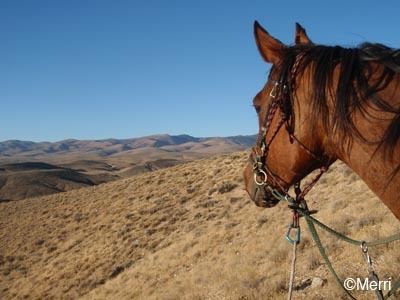 How do I describe my profound gratefulness at his day-after-day enthusiasm, when he comes up to me each morning and reaches out to stick his head into his halter, ready to hit the trail again? How do I describe the waves of breathtaking power emanating from the eager, forward beast beneath me, for 250 miles? How do I describe an impulsive, consensual all-out gallop just for fun? How do I describe the awesome athleticism, the complete coordination that causes each hoof to be placed exactly where it should be, for 250 miles? How do I describe the balance that develops along the miles of trail together, the learning to stay exactly centered as Jose weaves fast down a cow trail, dodging left and ducking right? How do I describe the partnership, the harmony that develops, when Jose takes the correct branch in the trail with just a thought from me? How do I describe the wheels whirring in that old soul brain of his, when he stops on a hill to gaze at things, while his eyeballs move around to study different objects - tiny specks in the distance that turn out to be horses or trucks or antelope... and while the myriad synapses in his nostrils fire rapidly, as the geography of the terrain clicks into place with the intricate maps of the area in his head? How do I describe the feeling of Jose (and me) getting stronger, and less tired, after the end of the next 50 mile day? How do I describe my utter awe at his heart rate at the final vet check after the long hot day 5 - 44! - when the vet confirms we've completed our first 5-day ride? How do I describe Jose?